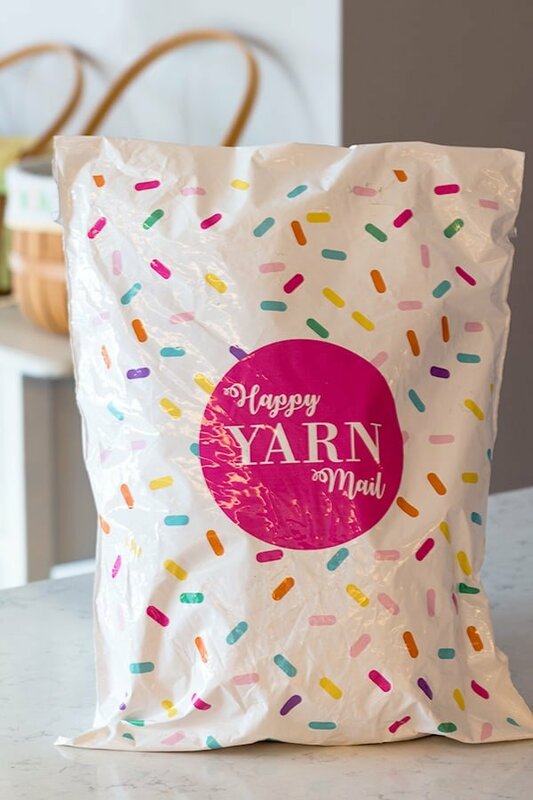 Have you guys heard of Happy Yarn Mail? It is a monthly yarn subscription crochet service that delivers a crochet pattern, yarn & goodies right to your door. It goes on sale every month between the 1st and 15th of the month so don’t forget to order during those times. 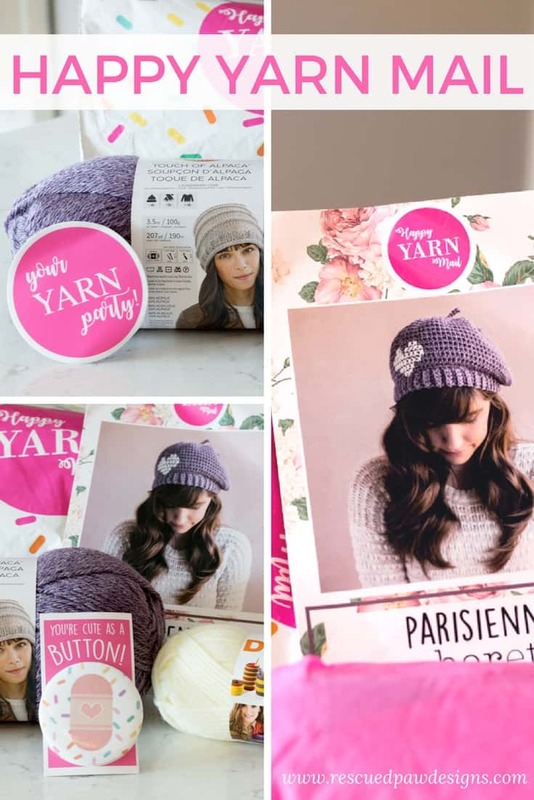 A printed, all color crochet pattern designed exclusively for Happy Yarn Mail – you can’t find this pattern anywhere else! Below is a peek at what a bag of Happy Yarn Mail that I received looked like. Hope you all enjoy! (it is so soft! 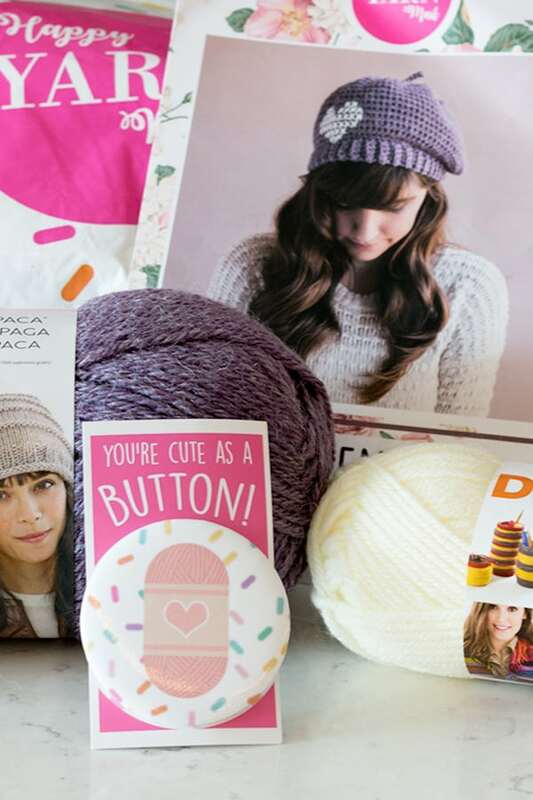 ), crochet beret pattern, sticker and the SO SO adorable cute as a button pin! I can’t wait to put that on my yarn bag. All in all I really loved what was included and am really excited to get started on this crochet beret pattern. I hope you enjoyed this post and I introduced you to something new and fun! 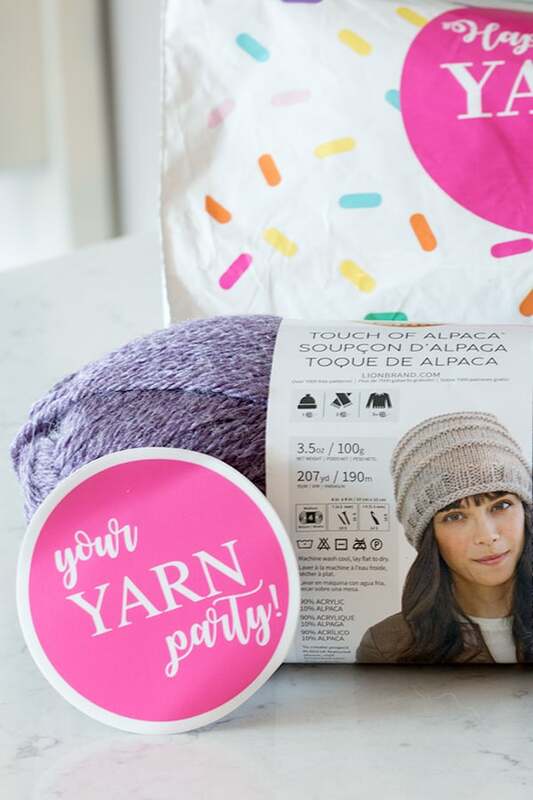 HappyYarnMail is owned and operated by Ashleigh of the Sewrella Blog.